This post was written by Catherine Lai and originally published  on Hong Kong Free Press on June 19, 2017. The version below is published on Global Voices under a partnership agreement. 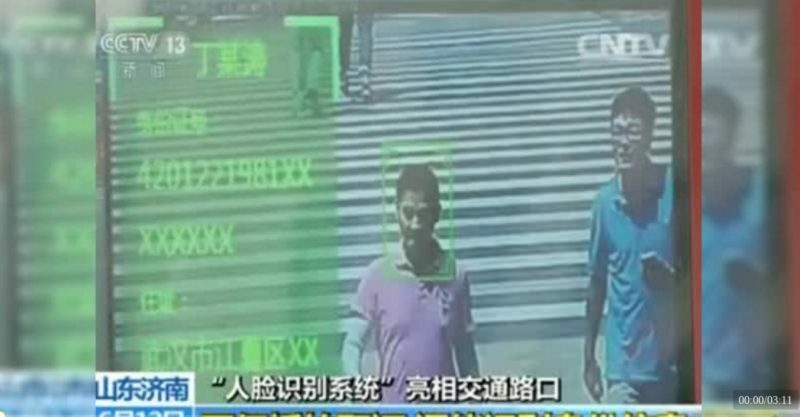 According to Central Television , since Jinan implemented the facial recognition system in May, police have caught more than 6,200 jaywalkers. In addition to a fine, the jaywalkers have to take a traffic safety course and perform public duty as a crossing guard. But few social media users on microblogging site Weibo have expressed concern about privacy issues. An online survey conducted by Sina showed 80 per cent of the over 2,000 respondents  were in favour of the measure.